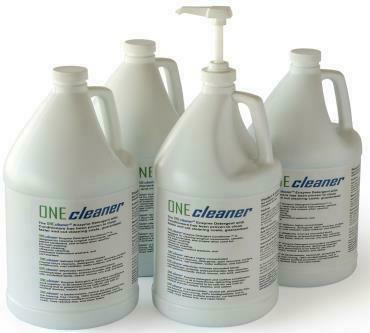 The ONEcleaner surgical instrument cleaning detergents deliver four enzyme surgical instrument cleaners. Four enzyme surgical instrument washer detergents clean faster. The ONEcleaner lubricating highly concentrated enzymatic surgical instrument cleaners cut costs. The enzymatic surgical instrument detergents boost the cleaning power of ultrasonic cleaning, with highly concentrated lubricating surgical instrument cleaning detergents. ONEcleaner enzymatic surgical instrument cleaners and surgical instrument washer cleaning detergents, with four lubricating detergent enzyme surgical instrument cleaners, clean residue free.